The scientific name for a Juneberrry is Amelanchier alnifolia. It is a deciduous shrub, native to the Canadian Prairies, where it is known as a Saskatoon Berry and has grown wild for centuries. 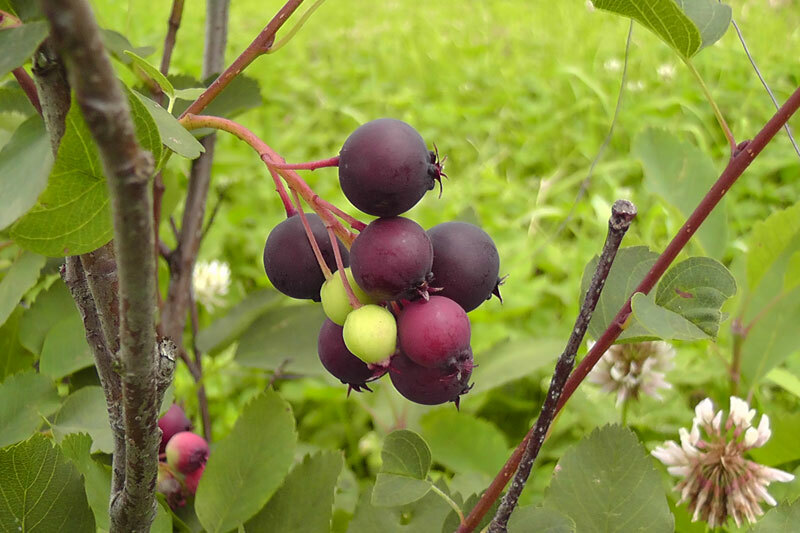 The city of Saskatoon in Saskatchewan, Canada is named after this berry which was originally called ‘ misâskwatômina’ by Cree peoples.The berry looks very similar to a blueberry, however as part of the Rosaceae family, a Juneberry’s closest fruit relative is the Apple. 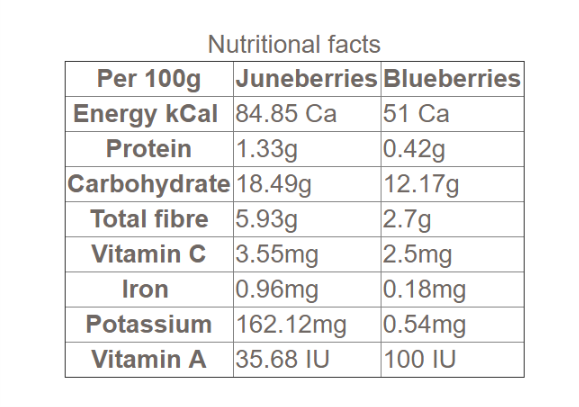 Commercial production of Juneberries began in Canada during the early 1980s and is now the second largest fruit crop from the Canadian Prairies, second only to Strawberries. 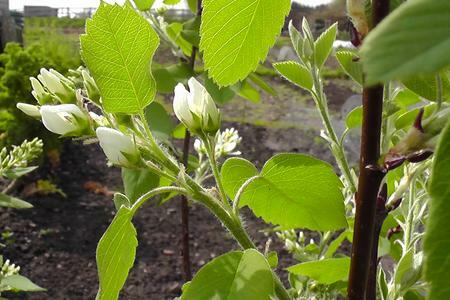 Commercial production in the UK started in 2013 – becoming Pershore Juneberries. Many of us will have an Amelanchier in our gardens. A small tree, covered in delicate white spring blossom, yellow-orange leaves in Autumn, and dark purple berries during the summer. This fruit often devoured by the blackbirds before we notice that they’re even there! These Amelanchier are usually A. lamarkii or A. canadensis. There are several commercial varieties of A. alnifolia now grown in Canada including ‘Northline’, ‘JB30’, ‘Smoky’, ‘Theissen’, ‘Martin’ and ‘Honeywood’. Each offer slightly different qualities in size, colour, flavour, habit and typical time of harvest. 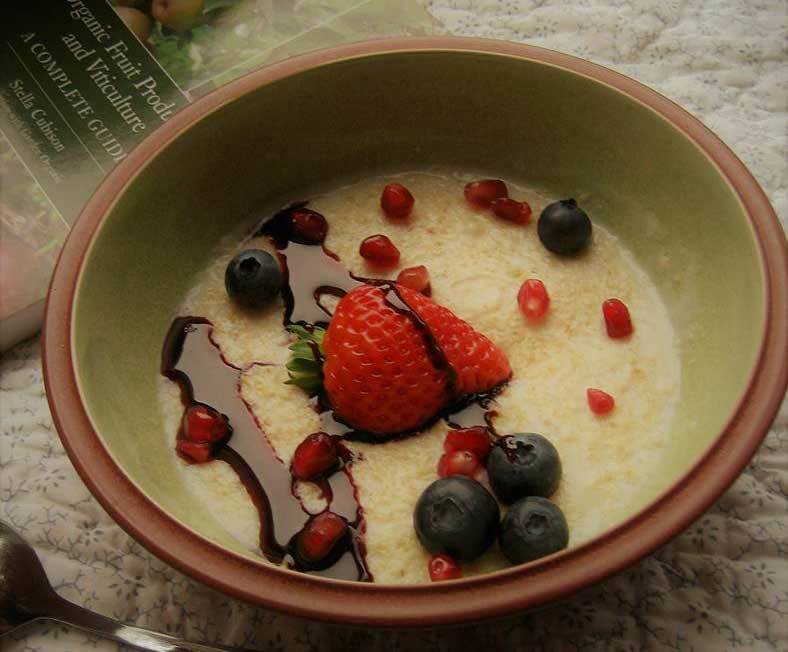 You will find that ​Juneberries are incredibly versatile to use in the kitchen. Delicious fresh, they juice well, taste great in smoothies and can be made into all your favourites at home including: Jam, curds, fruit leathers, ice cream, sorbet, crumble, pies, muffins, summer pudding, yoghurt stir-through, open fruit tarts, chutney, salad dressing and even tea. 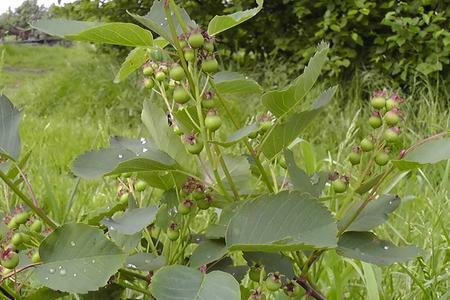 Juneberries were used for their medicinal properties by native North Americans and early settlers. They are rich in anti-oxidants and have a subtle, sweet and nutty flavour, similar to a cherry/almond mix, which is intensified when juiced or cooked. Their nutritional value is well documented, often compared to blueberries to demonstrate their impressive neutraceutical value. Sources: Saskatoon Berries – SFGA conducted by POS Pilot Plant, assistance of Native Fruit Development Program (February 2003); other fruit – USDA National Nutrient Database for Standard Reference, Release 12 (August 2002). ​In addition, Juneberries contain twice the amount of Calcium and five times the amount of Magnesium than blueberries*.